HTC,Taiwanese company has just announced a new low end phone named HTC Desire U.To make the phone available at loo price HTC has selected Android 4.0 Ice Cream Sandwich as the operating system for the HTC Desire U smartphone rather than Android Jelly Bean. Moreover HTC Desire U comes with single core 1 GHz processor rather then expensive dual-core processor. HTC Desire U features a nice 4 inch display with a resolution of 800 x 480. Desire U has a 5 megapixel rear camera with WVGA video recording coupled with Beats Audio technology and a powerful battery of 1,650mAh. HTC Desire U offers latest Bluetooth 4.0, and W-Fi, and also supports HSPA, WCDMA and GSM networks. In November, last year HTC unveiled the dual-SIM smartphone named HTC Desire SV during an event at Singapore. 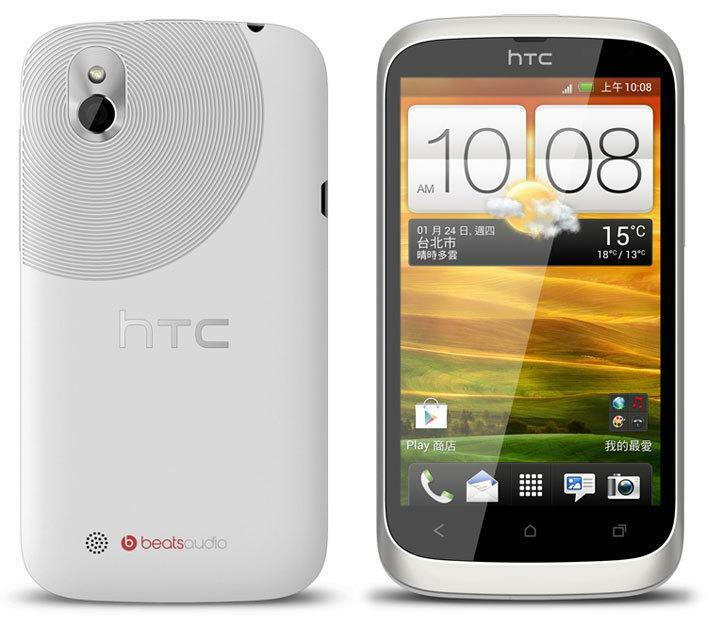 HTC Desire SV featured dual-core processor,8 megapixel rear camera, 4.3 inch screen and Beats Audio. As per HTC claims 1GHz dual core processor helps in web browsing, running apps,watching videos and downloading attachments. The smartphone has 768 MB of RAM and also features 4.3 inch super-LCD 2 screen. This dual-SIM smartphonefeatures added tools such as Microsoft Exchange push mail,Office Suite, and calendar support. HTC Desire U is expected to cost Around Rs 20000 in Pakistan.